Rural enterprises have played an important role in the extraordinary success of China's economy over the last two decades. They have greatly increased off-farm employment in rural areas and brought substantially increased incomes and standards of living to many rural people. 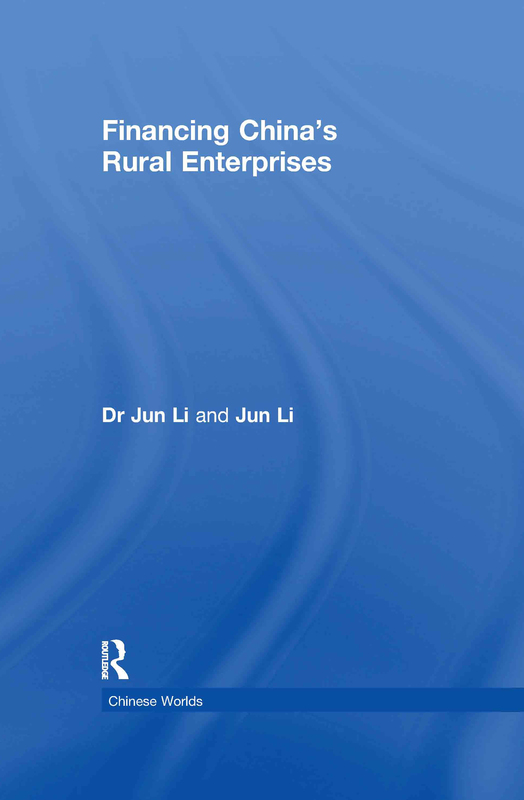 Jun Li provides a comprehensive analysis of the financing of China's rural enterprises over the reform period, and discusses the key aspects of rural enterprise development in China, including the growth of rural enterprises and enterprise-level behaviour, the role of state policy, rural financial institutions and local government. Brings new and challenging analysis to the current debate on the Chinese financial system and the financing of SMEs.